When recycling decade-old allegations, lies, and threats that preceded invasion and occupation, sometimes sloppy mistakes happen. In a short report posted this afternoon, Reuters quotes U.S. State department spokesperson Victoria Nuland praising the detrimental and destructive effects of its sanctions regime against Iran and claiming once again that Iran is building a nuclear weapons, despite her own government's assessments that this is not the case. Nuland is thrilled that "the Iranian currency has dropped to a historic low today against the dollar," as she believes "this speaks to the unrelenting and increasingly successful international pressure that we are all bringing to bear on the Iranian economy" which she adds is "under incredible strain." Catch that? 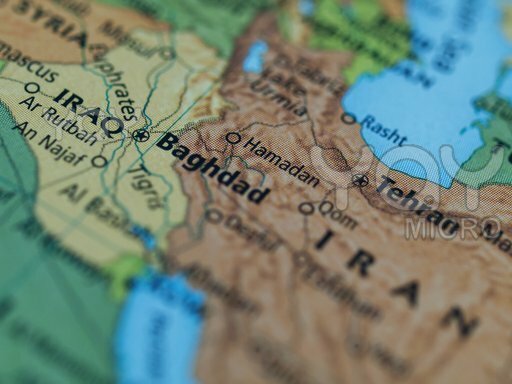 The "international community" is trying to "intensify pressure on Baghdad" so that Iran won't choose to acquire a nuclear weapon. Apparently, either these fine Reuters staffers are unaware that Tehran is the capital of Iran, or - perhaps more plausibly - they merely forgot to replace the Iraqi capital with the Iranian one when reusing these old propaganda talking points about a Middle Eastern country supposedly building weapons of mass destruction. With so much recycled material from 2002 flooding the mainstream, how can we expect poor Reuters to keep track of which country we're supposed to be lying about and threatening now? The original version still exists here. Just wow. You already proved it to my satisfaction with the previous post on Netanyahu's visual aids, but this is hilarious, or would be if it weren't so scary.